A golf wedding theme is perfect for easy DIY favors and decorations! 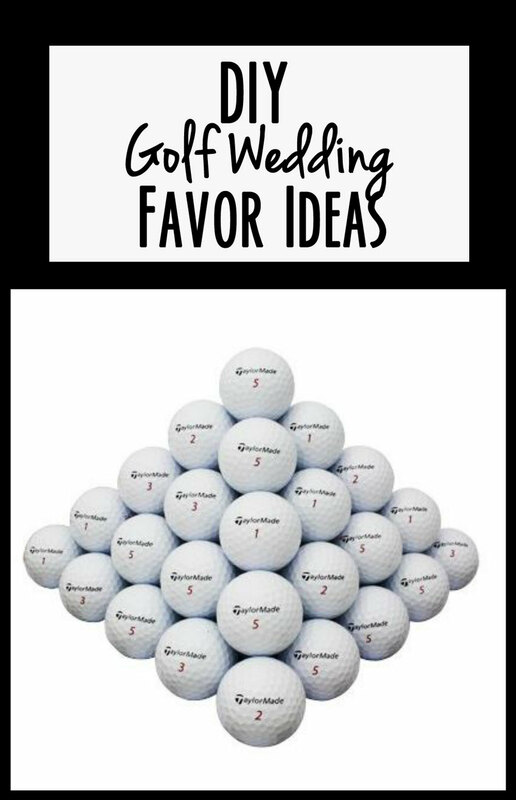 See our favorite DIY golf wedding favor ideas. And if you’re not interested in DIY ideas, we’ll show you our favorite golf wedding favors that are ready-made for your convenience. "Life is Better When You’re Golfing"
Using golf balls for your favors or decorations will instantly give your reception the feeling of a golf wedding theme. What’s most important is that this theme is unique and fun and your guests will love going to a wedding that has a different spin from traditional wedding themes. 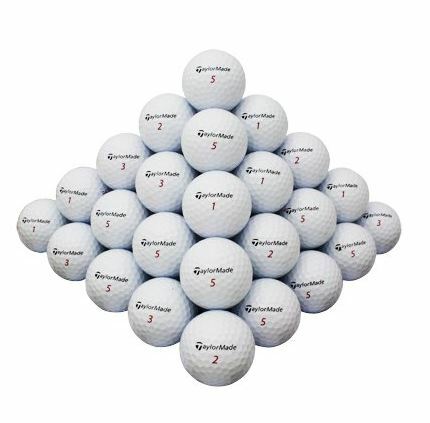 This is the best deal we have found so far on bulk golfing balls. You can add fake grass or you can mix in candy or other yummy edibles. You can also put in something for non-golf fans, like candy or practical items like bookmarks or bottle openers. Whether you do your own cake or not, you can add golf balls to your cake to tie the theme in together. You can find nice glass vases at your local craft store or you can also try thrift stores if you are trying to save money. Use several golf balls to fill up the vases and then put flowers on top or alongside the golf balls. You can even use fake grass at the bottom to add color. Wrap the vase with a ribbon to match your wedding colors and voila! You have a beautiful decoration. Golf tees are great to use for favors and decorations because they are very affordable, especially in bulk quantities. They are easy to use as well! 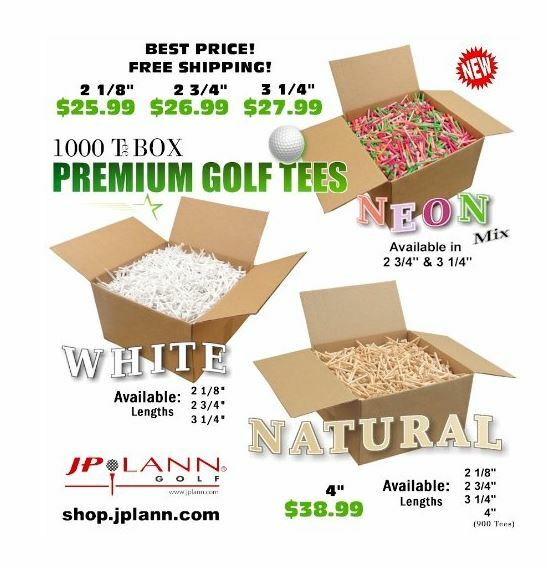 Check out this great deal on golf tees! You can also buy in quantities of 100 or 500 as well. What a cute idea to make a boutonniere out of golf tees! I’m sure it safe to say that most men wouldn’t mind having a few less flowers to wear. You can attach a quote or a note of thank you to each golf tee and set them on each guest’s plate. Using an idea earlier on this page, you can add golf tees to vases if you prefer to not use golf balls. These are just a few ideas to get you started! You can find several great ideas on Pinterest and search engine searches. Check out our golf wedding theme Pinterest board for more ways to decorate your perfect wedding! 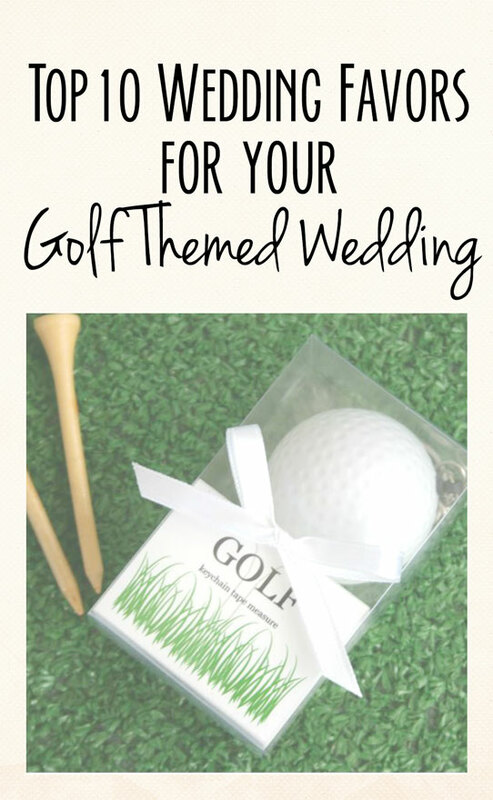 Follow Wedding Favors by Theme's board Golf Theme Wedding on Pinterest.